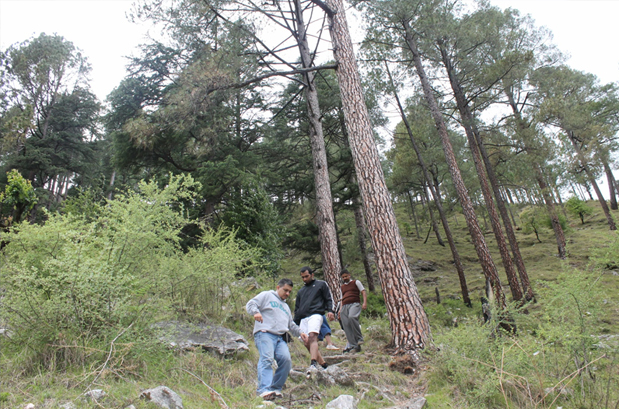 These treks are 5 to 8 days long and involve walking for about 3-4 hrs daily. The trail on such treks is well defined but not always flat. These kind of treks are great for families and first timers. With gradual descends and easy ascends, Har Ki Dun Trek in Garhwal region is an ideal pick for the beginners. Trek to the Har ki Dun, a valley situated on the base of Fateh Parvat, is mesmerizing as above are azure blue skies, and on your sides, are a dense forest of chestnut, deodar, and sycamore. You will also walk along sparkling, playful, flowering streams and waterfalls. And even climb a gentle gradient. With each step, the landscapes become more spectacular. The hills gave way to mountains, and the mountains to giants until the valley opens into the cupped palm of Har Ki Doon, the "Valley of God." From children to elders, people of all age group are smitten by the beauty of the trail. Due to its strong road connection with the Borasu Pass, Har ki dun valley is also considered as the base point for several mountaineers who wish to travel to other Himalaya peaks. Despite being a low altitude valley, having a maximum elevation of 3,566 meters, one can't help but get enchanted by the beautiful Bandarpunch range in the southeast horizon. The extravagant nine-day long Har-ki- dun trek flags off from Sankri, a tiny village in the Garhwal Himalayan range. The trek further continues to Taluka along the side of Rupin River and Supin river, from where the views of the Indian Himalaya are stunning. From Taluka, the trail moves to Osla and one can enjoy the breathtaking view of dense forest sprinkled with chestnut and walnut trees. Furthermore, from Osla a steady ascend leads to Har ki Dun. The pristine beauty of the Har-ki-doon Valley captures the imagination of every tourist. Upon visiting the Har Ki Dun valley, one can explore the Morinda Lake, Jaundhar glacier, Borasu pass. 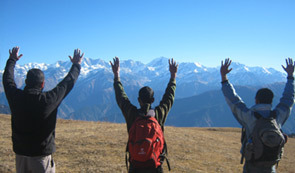 Also, the trek offers the mesmerizing view of the majestic peaks like Kalanag, Bandarpunch, and Swargarohini. 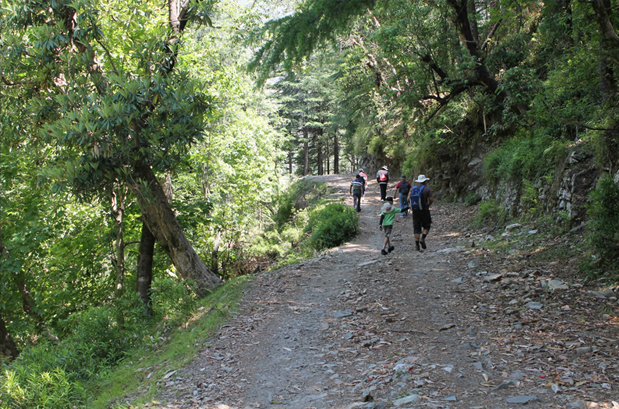 Soaring views, dense forest, snow-capped mountains- what's not to like on the Har ki dun trek. If you are amateur trekker or wants to try your hand at a thrilling trekking experience, a trek to Har Ki Dun valley can be a good break for you. 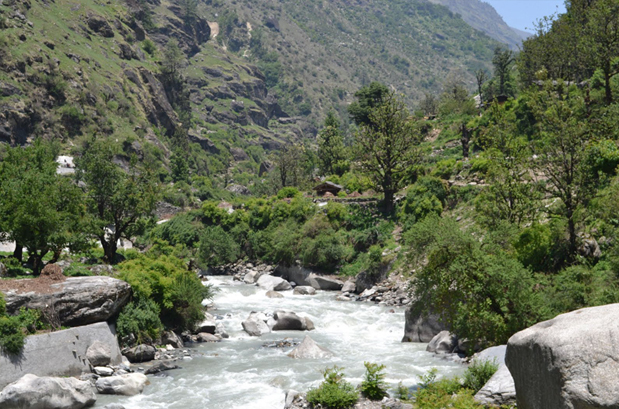 A mixture of exploration and adventure, trek to the Har ki Dun trek is an experience of a lifetime. Attractions of the trek- Har Ki Dun valley and villages of Sankri, Saud, Taluka, Osla and Seema. Chance to witness the local and village culture. Night stay in the tent. Summer (April to June) & Post Monsoon (September to December) is an ideal time to do this trek. 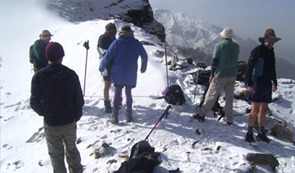 If you are interested in snow trekking then the best time to visit is winters. Climatic conditions in the high altitudes vary from the plains; take adequate time to get acclimatized to high altitudes. In Summer: You can expect pleasing weather during the summer season. Usually, there is no fog and sky remains clear most of the time. If you are planning a trek in summer season then don't forget to carry light woolen clothes as temperature remains low during the night. 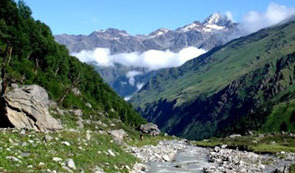 In Monsoon: During the monsoon, the trekking trails remain more prone to landslide. Roads remain blocked, but the scenic beauty is worth all the risk. In Winter: Serenity and solitude are at its best during winters at Har Ki Dun Valley. The region is blessed with snowfall during winters and the accommodation options also few. If travelling during the winter season then don't forget to carry warm clothes, jackets, raincoats, fleece jackets and thermals. Where is the Har Ki Dun Valley? Har ki Dun is a cradle shape hanging valley nestled below the Har Ki Dun peak, towards the western side of the Garhwal Himalaya. At an elevation of 3556 meters, Har ki Dun valley is accessible through Govind National Park– known for its rich variety of flora and fauna. The trekking trail passes through dense forest sprinkled with chestnuts and walnuts trees along with willows and Chinar, glaciers basins, pine forest, spectacular ancient villages, and a chance to experience the wonderful slow-paced local lifestyle. By Air: Jolly Grant Airport is the nearest airport to Sankri, which is situated at a distance of 230kms. Taxis are available from Jolly Grant Airport to Purola and Mori. By Rail: The nearest railway station to Sankri is at Dehradun, which is situated 215kms away. Sankri is well connected with major destinations of Garhwal like Dehradun, Mussoorie, Purola and Mori. By Road: Sankri is well connected with major destinations of Garhwal like Dehradun, Mussoorie, Purola and Mori. AC train from New Delhi railway station will arrive at Dehradun by noon. On arrival, you will meet your travel guide, who will transfer you to the hotel in Mussoorie for an overnight stay. During the drive, you can enjoy the majestic beauty of Dehradun and Mussoorie. 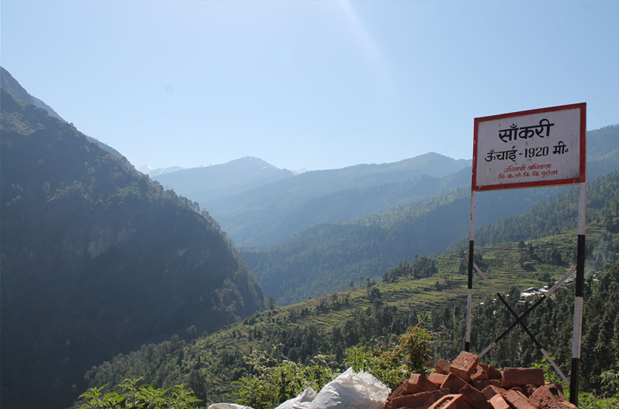 After breakfast, on the second day, you will drive to Sankri, which is starting point of our trek. On a journey to Sankri, you will pass through attractions like Kempty Falls, Purola and Mori. Before embarking on the trek, ensure that you have enough of bottled drinking water and energy bars to keep you going. After your arrival in the vicinity, you will check in a hotel or tourist rest house. The day will start with healthy breakfast and then go for a drive to Taluka, which is 14 km/4-5 hours away from Sankri. During the drive, one can witness the magical beauty of the surroundings and also enjoy the stunning views of the towering mountains and dense forest. You will be transferred to a hotel, once you will arrive at Taluka. Taluka has guest houses and a few shack shops providing daily provisions to the local inhabitants. Overnight in tourist rest house/tent. 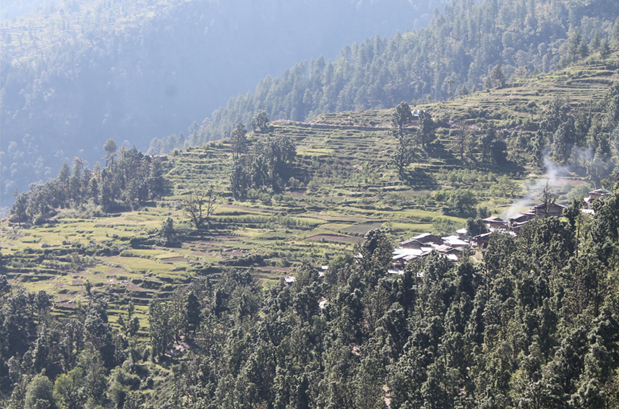 Wake up in the morning, enjoy the breakfast and start your trekking expedition to the Osla Village, a tiny hamlet on one side of the Rupin River. 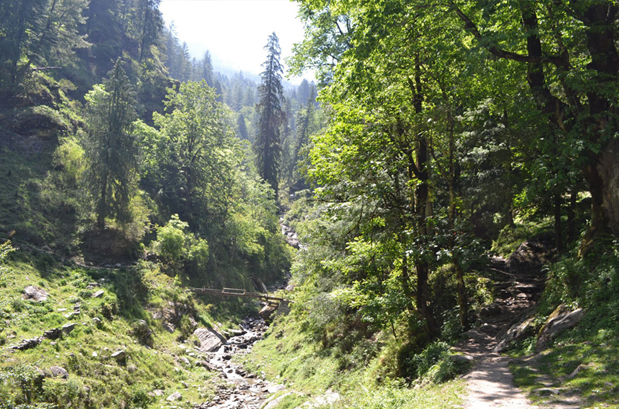 Initially, the trail descends, further it will lead to left side of the valley, which later adjoins the Rupin River. 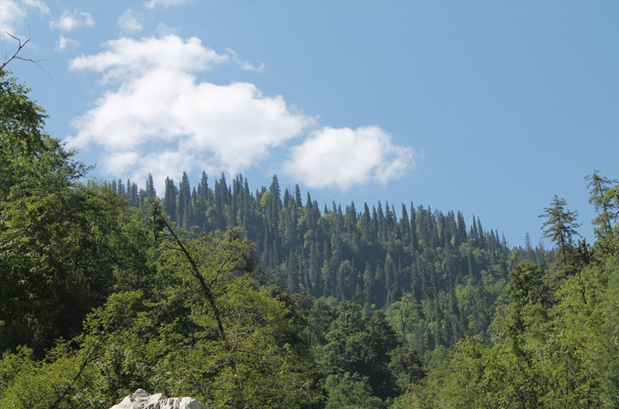 After trekking for few kilometers, tourists will see the dense forest of Chestnut, Walnut and Willows trees. Further, the trail will take you to the Gangar village, and after crossing streams and climbing, you will reach a point from where they can enjoy the panoramic view of Oslo village. 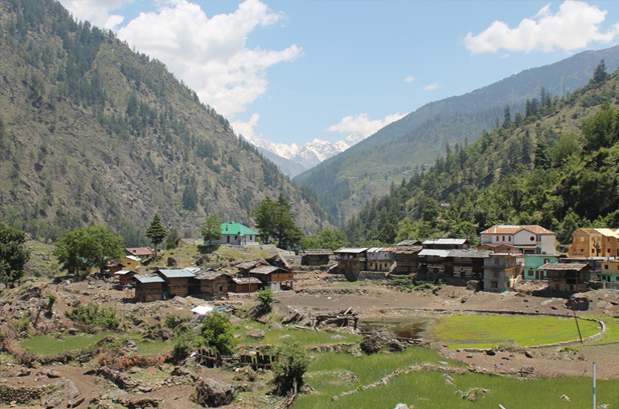 Next stopover point will be Seema Village, a small town on the opposite side of Osla village, separated by the swift river. Overnight in tourist rest house/tent. The trekking trail to Har – Ki Dun from Oslo starts from the left side of the valley and further passes through the fields, followed by a bridge that crosses the Rupin River. Next stopover point is Kalkatti Dhar, from where one can enjoy the view of Har Ki Dun valley. Look out for Kalang (black peak) and Bandarpoonch ranges when you are close to Kalkatti Dhar. From Kalkatti Dhar, there is an uphill climb to Har KI Dun valley. After about 6 to 7 hours, finally arrive at Har Ki Dun valley; overnight stay in Har Ki Dun valley. The sixth day is meant for relaxing. After the healthy breakfast, you can explore the valley, capture some magnificent views on the camera, or just chill at the campsite. Also, you can see the rarely found Brahma Kamal flower around Morinda Lake, a beautiful alpine lake that can be covered with a short trek from the campsite. If you are still up for exercise and stiff climbing, you head northeast up the valley 4 km to the Jaundar glacier. This may require technical skills and it may be better to walk up just a couple of kilometers there and back. Overnight in Har Ki Dun campsite. Return the same way to civilization. Overnight stay in Osla village tourist rest house/ tent. The eight-day is the second last day of the trek, covering a distance of 13 km through steeper terrains and stunning environs with sights of migratory birds disappearing in the snow-peaked mountains. Overnight stay at the guest house or hotel in Taluka. 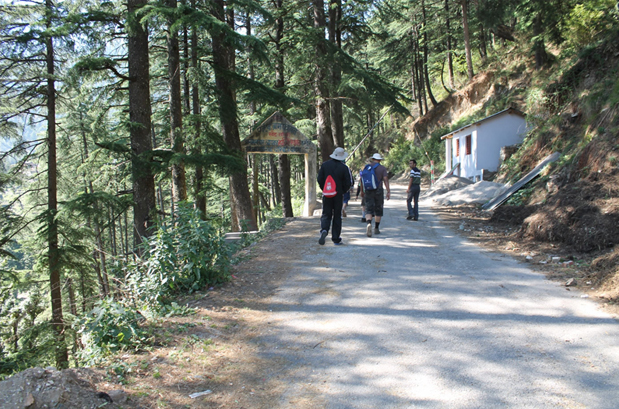 The trek for the last day is relaxing and fun walk through the forest and on manmade roads. This day is highlighted by a back drive to Dehradun. 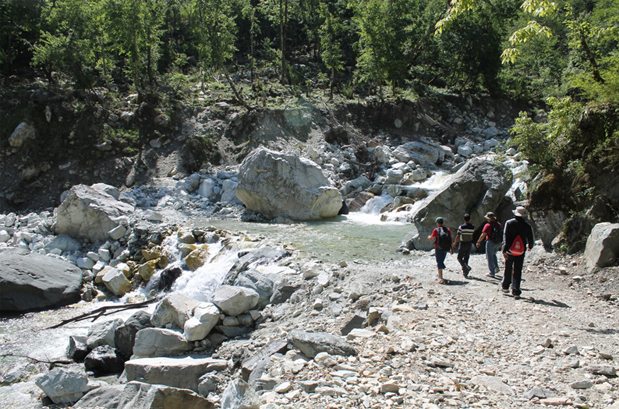 Following your arrival in Dehradun; at about 05 pm, the adventure of the Har Ki Dun trekking comes to an end. When to book Har Ki Dun Trek? You should book two months in advance for the trek, so that there is ample preparation time. A pony/porter will carry your backpack while trekking, you just need to carry a knapsack. 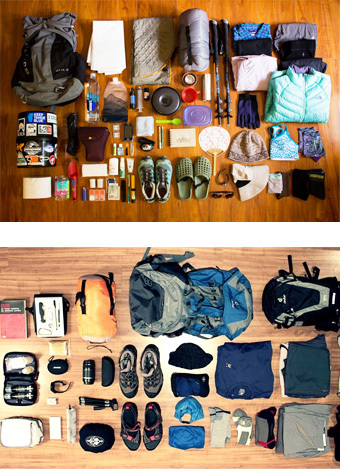 OnTotal weight of the backpack should not exceed 12 kg. You should carry all those things, listed in the itinerary given by TMI. New Delhi Railway Station, Platform No 16, is the meeting point for all the trekkers. Our agent will be there to hand over the railway tickets and then you can board a train to Dehradun. At Dehradun, our guide will pick you from the railway station and then from there your tour will start. 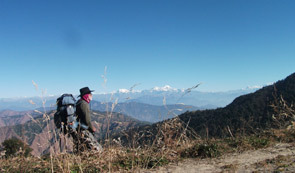 From start till the end, every turn of the trek will be lead by an experienced guide, who are also expert mountaineers. 4-12 people, including both men and women. 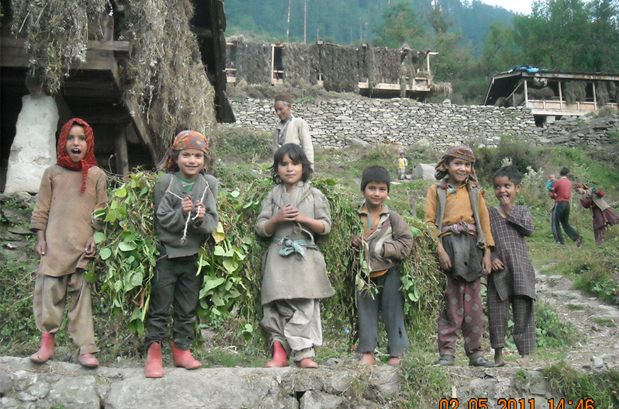 What is minimum age required for Har Ki Dun Trek? Har Ki Dun Trek is an easy trek with a maximum altitude of 11800ft (3600m) minimum age required is five years. What will be the minimum temperature during Har Ki Dun Trek? During summers (April to June) and monsoon ( September to November), the temperature may dip to 10° C and in winters (December to March), the temperature can reach as low as minus degrees. Yes, our departure dates remain fixed. We are always excited to go for the trek, even if it's with one trekker. We are all back in Pune safely after a wonderfully organized trek by Peak Adventures. Our guide and cook took great care in making our stay comfortable to the extent possible. The pleasant and exciting memories of the Har Ki Dun / Morinda Tal trek will linger in our minds for a long time and we will surely get back to you when we intend to go for our next trek which may be next year.